IOV’s talented developers have been working steadily for more than nine months and this work has born lots of fruit. IOV already has a working BNS testnet that swaps values across blockchains. We also have a demo wallet that uses personalized addresses. IOV is preparing its launch for 2019 and getting ready for global adoption. 2019 promises to be a very exciting year for the mass adoption of blockchain. We at IOV are thrilled to be a part of the solution that makes decentralized technology a reality in people’s lives. Our business philosophy has informed two decisions. Firstly, we have decided to build our product before issuing our token. Secondly, we are deciding to restrict early access to the IOV token to carefully vetted, strategic partners. We were among few companies able to pass the soft cap for the project launch in a private round, which has given us time to do everything right. 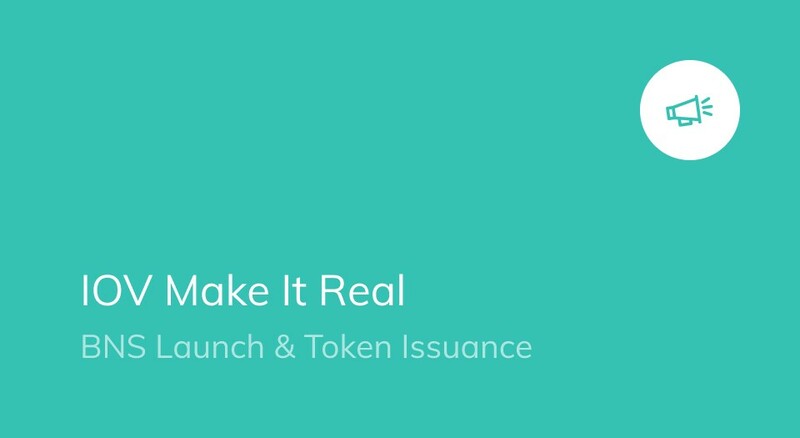 With this focus on “Making it Real”, IOV has decided to make the IOV token’s availability coincide with its usability. First, we are focused on delivering the BNS in Q2 2019 alongside our multi-chain wallet. Issuance of the IOV Token will coincide with the launch of the BNS. Second, We are continuing to sell tokens to selected strategic partners in the pre-sale. Those that do not qualify for pre-sale will need to wait until the launch of the BNS to buy tokens. Finally, parties that were interested in setting up a staking node in the chain, also known as a validator, need to contact us. They need to be an IOV Token holder from the pre-sale in order to get set up properly. If you have any questions, reach out by joining our Telegram channel, or by sending us an email. Blockchain Decentralist. Journalist(ic). Theologian. Fly fisherman.